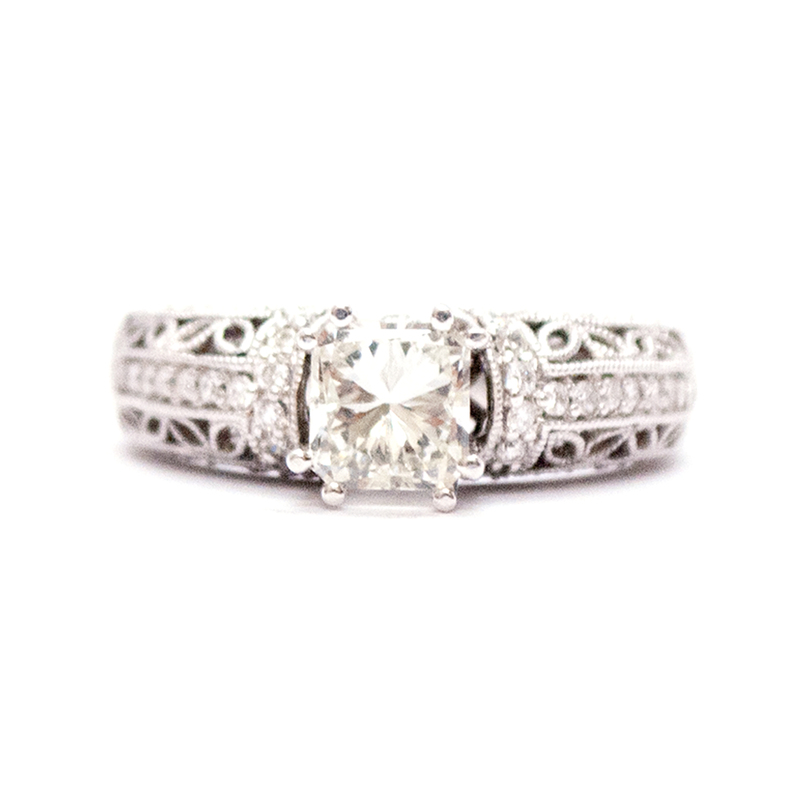 One 18KT white gold ladies diamond engagement ring with a tapered half round shank with a bright polish finish. 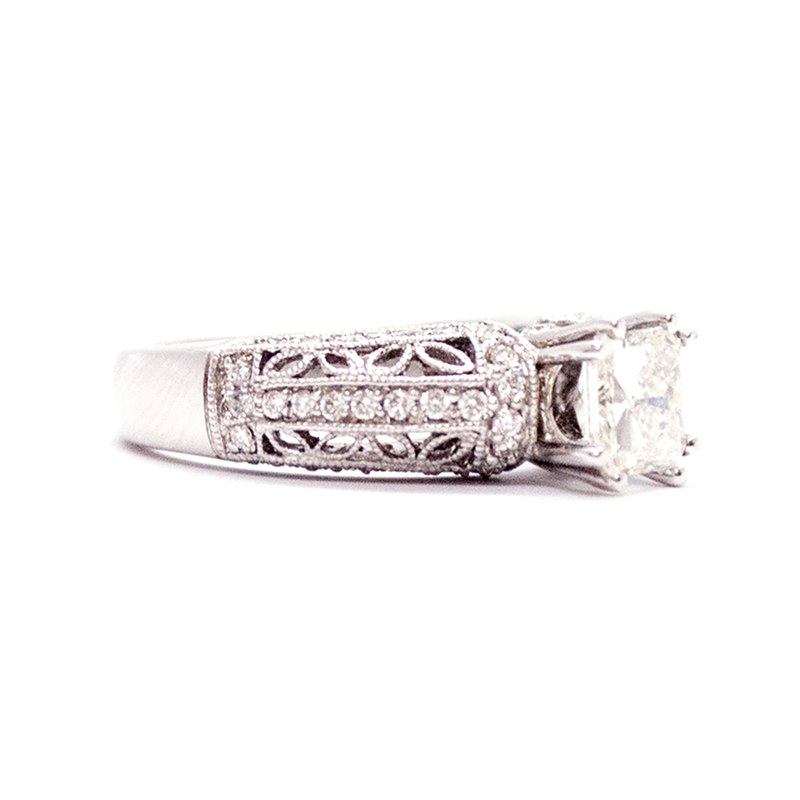 The ring features a double four prong set, radiant cut diamond. 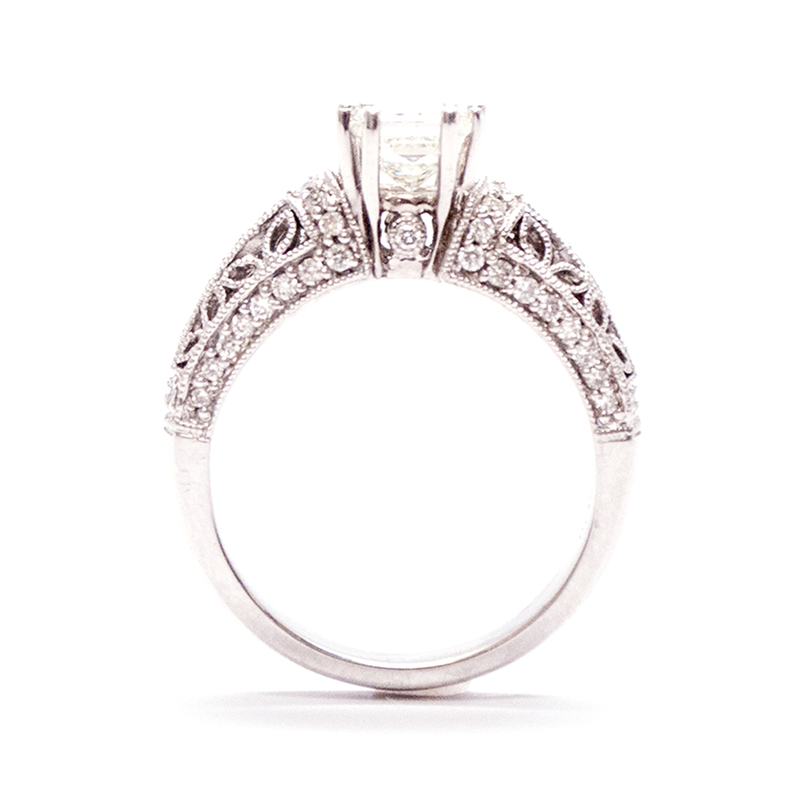 Three sides of the ring shank have an open filigree design lined with bead set, round brilliant cut diamonds. 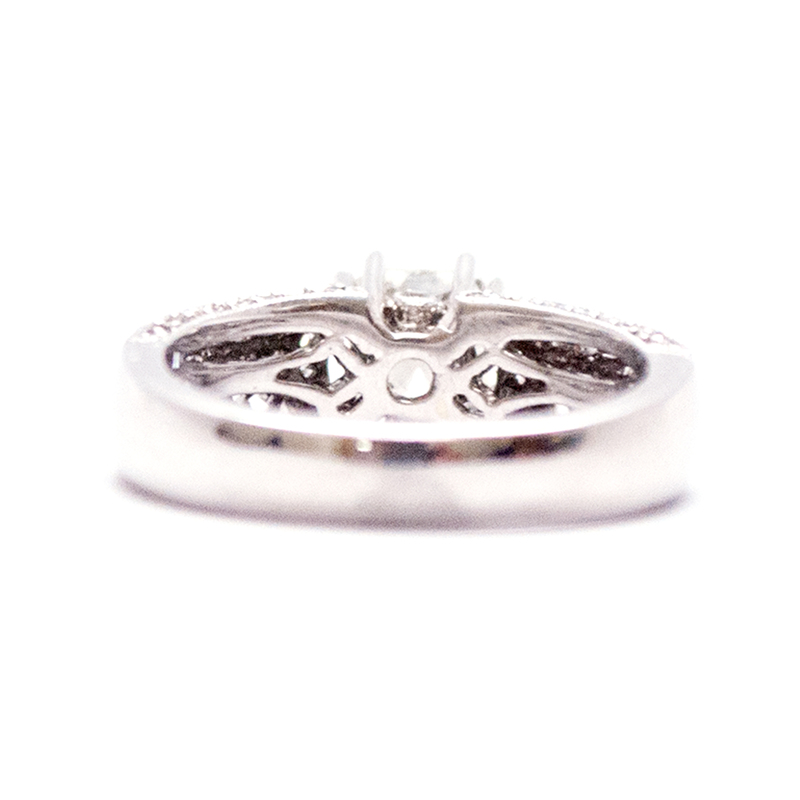 On each side of the gallery there is an additional bezel set, round brilliant cut diamond. The ring is accented with milgrain detailing.